Labor Day marks for many the end of summer, but the official last day is September 22. With temperatures hovering in the upper 80's and 90's in areas, it is hard to believe that cool, crisp days are coming soon. Yet now is a great time to start thinking those autumn thoughts to ease you into the next season. We are constantly searching for fun new palettes, products and ideas. Here are a few inspirations that will have you falling for fall. Without going all pumpkin spice on you, here are two color combos that nod to cooler temps without entirely letting go of summer's vibrancy. 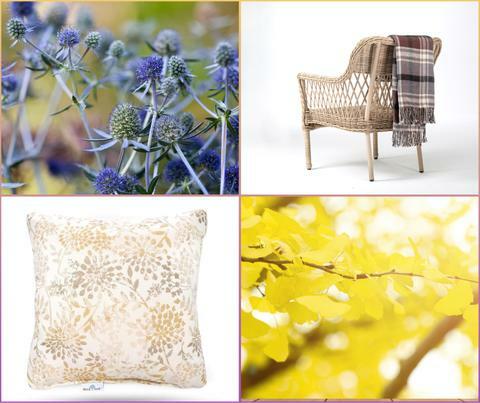 Get the look by switching out pillows, adding a cozy blanket, accessorizing and planting for fall blooms. The subdued dusty plum is highlighted by soft golden tones that mimic the early fall leaves, such as gingko and witch hazel. 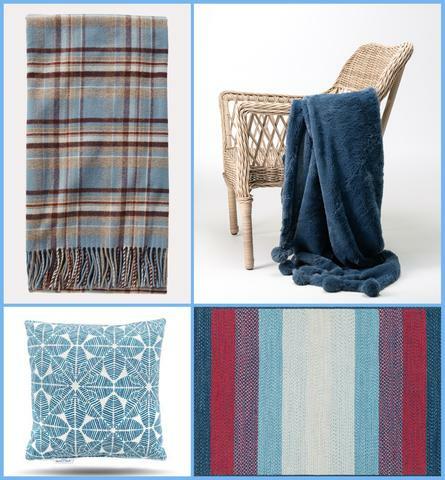 Blue tends to be closely associated with September and when mixed with cranberry tones it becomes the perfect transitional palette to ease into fall. A few new additions to your outdoor oasis will have you enjoying the final days of summer and preparing for the cooler temps ahead. 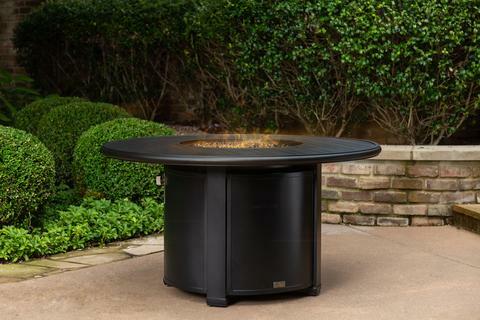 Fire tables: Nothing says ambiance like the flicker of a flame. The new generation of fire tables is designed with entertaining in mind. This one from Blue Oak Outdoor due to launch this fall offers a generous rim so guests can set food and beverages along the side. When not in use, the protective cover doubles as additional surface space. 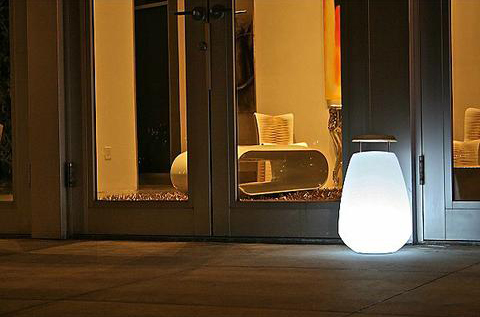 Rechargeable lamps: With shorter days approaching so is the need for additional lighting. Rechargeable lamps and lanterns give you the option to move the light when and where needed without being tethered to an outlet. Picnic basket stocked with outdoor supplies: The last time I packed up a picnic for the park was like, never. 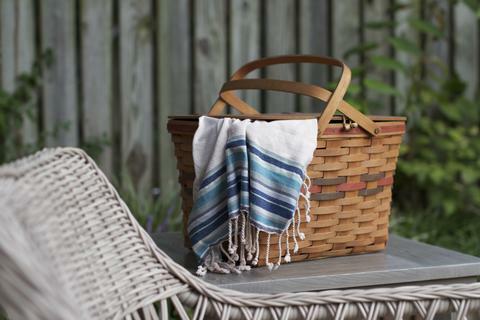 However, I have found that keeping a cute picnic basket stocked with simple outdoor entertaining items keeps me from making multiple trips inside and makes clean up easy. Here are a few great ideas for stocking your basket. S'mores supplies - I keep the marshmallows in a small mason jar so they stay fresh. Campfire incense - This adds the subtle smell of a campfire without permeating clothes and hair. This is also the perfect complement to a fire table. A dedicated torch lighter for lighting candles, incense or grills. Visit blueoakoutdoor.com for more outdoor decorating ideas for fall!